The new reversible harness from U-Turn is combining comfort and functionality in highest quality. The full-value harness is also in the convertible mode convincing with high comfort. The ergonomic load bearing system with efficient padding is guaranteeing optimized load arrangement. Uncompromising functionality was first during the designing process and that despite the higher complexity because of the turning-function. 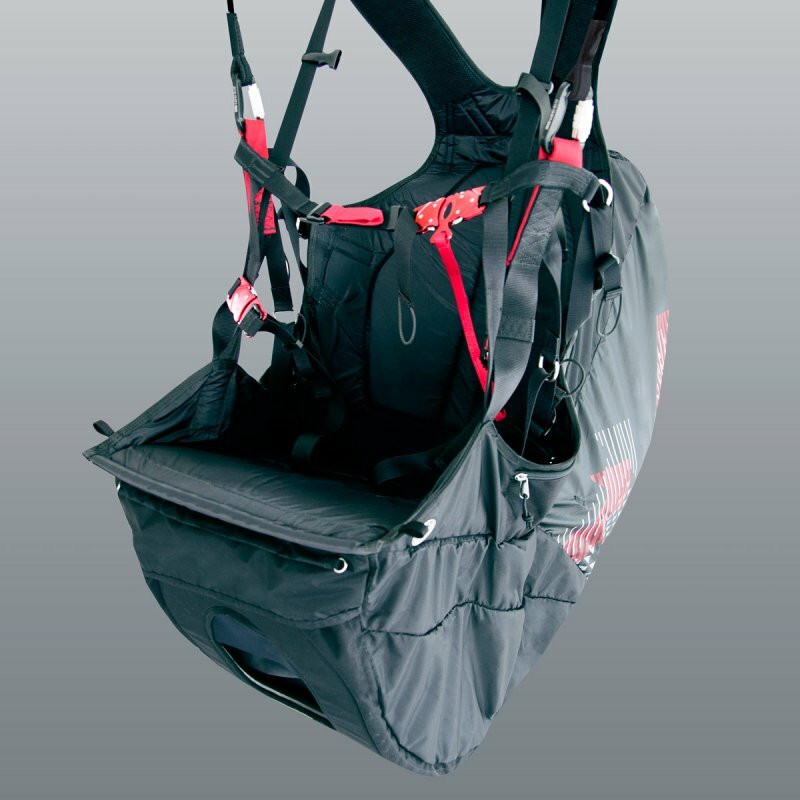 The light weight allround-harness can be adjusted to the demands of the pilot. The differentiated adjustments from seat board- and back inclination paired with the safe from adjustments suspension-geometry are leading to a very high sitting comfort with direct feedback. For the first time a new fabric material with kelvar core was used for the main suspension, in combination with the sophisticated sewing this achieved new highest levels at the tearing tests. To avoide pinch point hazards in the crotch area the leg loops are being closed to the outside. Two bags on the side are providing storage space for devices and flight accesoires. As usual U-Turn is setting great value upon protection. The INSIDE was equipped with the established accumulated-air-airbag, which has outstanding damping worths because of the big air volume. Already when taking off the airbag with the back chamber reaches the maximum protective effect. The container for the rescue parachute is under the seat board, the arrangement near the body’s center of gravity is leading to boundless freedom of movement and benefits the triggering without strain. 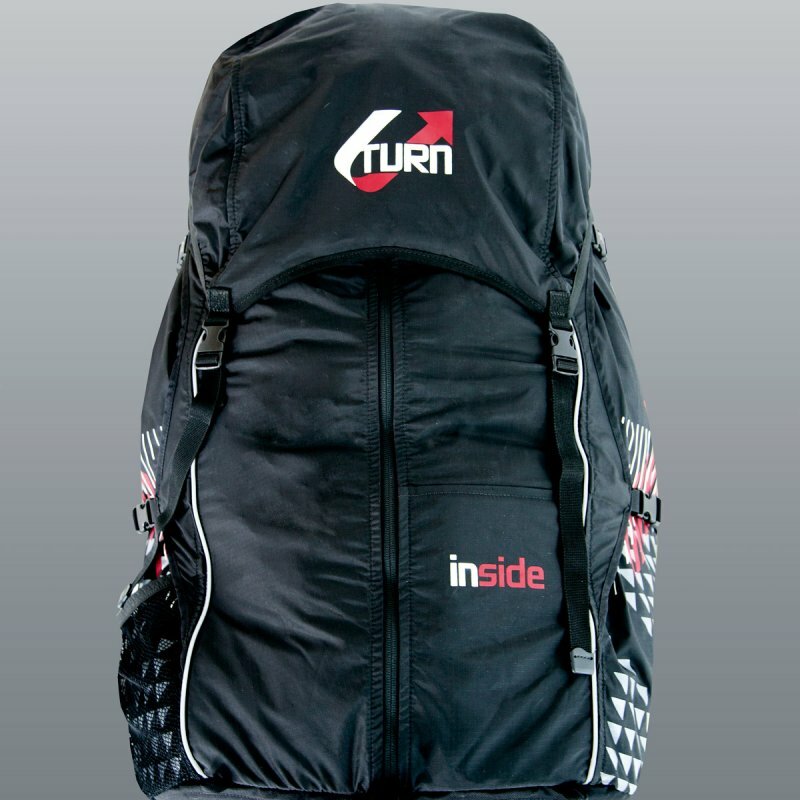 The backpack is exceptionally generous dimensioned and is providing enough storage space for the whole equipment. The robust outer casing cares for abrasion resistance under rough circumstances. Many elaborate details are strengthening the functionality, a net bag as well as removable lid pocket are providing additional storage space possibilities. At the material loops on the bottom of the backpack it is possible to attach trekking canes, and reflex-material is caring for better visibileness. The ergonomic hip strap is also equipped with pockets, to make room for the phone or other valuables. The INSIDE is addressed to pilots, who despite low weight don’t want to renounce the comfort of a full equipment. It is suitable for travelling and Hike&Fly adventures as well as for the everyday usage. 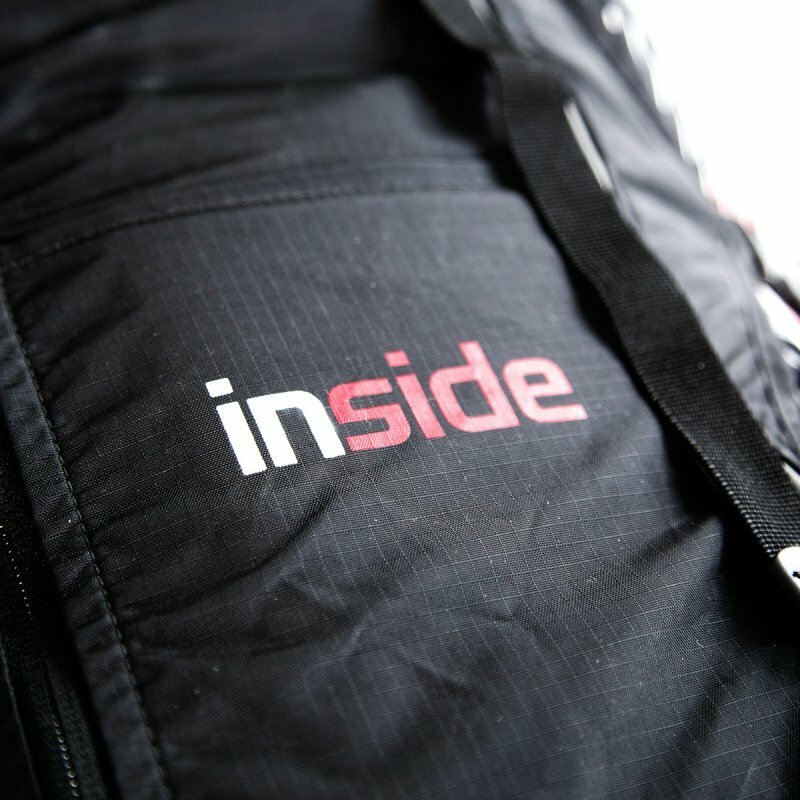 The INSIDE combines all benefits from a functional convertible rucksack harness in high quality processing. It is designed for the durable usage. Available from now on in the licensed sizes S, M and L – Please take a seat!